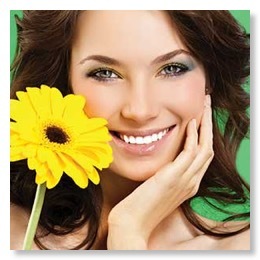 Welcome to Incredible Dentistry in Las Colinas Irving TX. Our goal is to provide quality, honest, personalized dental care to anyone that walks through our door. “Perfection is never a coincidence. When you need a caring, compassionate, and highly skilled cosmetic dentist in the Las Colinas Irving TX area, look no further than to Dr. Thuc Hoang at Incredible Dentistry. A perfectionist at heart, he will do whatever it takes until you are satisfied. Whether you want that natural look, or just want that hollywood smile of porcelain veneers --- Dr. Hoang aims to deliver. With a former background in Fine Arts and a passion for cosmetic dentistry, Dr. Hoang has the artistic ability to make every tooth and consequently, your entire smile look its best! Even though Dr. Hoang’s main focus is in cosmetic dentistry, he is also well versed in other areas of dentistry such as pediatric dentistry, root canals, dentures, and restorative dentistry. Please feel free to stop by our Las Colinas Irving TX dentist office and consult with Dr. Hoang about your cosmetic smile and all your other dental needs as well. Incredible Dentistry is a dentist office located near the Alesio Urban Center on Lake Carolyn in the heart of Las Colinas Irving TX. Our Irving dentist office is here to serve to your dental needs. Dr. Hoang and his dental staff are not here to pressure you into doing any dental work you do not want. Our philosophy is to listen and respond to each one of our patients as though they were a part of our extended family. We take our time in discussing your dental needs, wishes, and financial situation — making your experience as easy and painless as possible. Our Irving dentist office offers the very best in general and cosmetic dentistry with the latest in dental technology with the most affordable pricing in the Las Colinas Irving TX area. Children, adults, and senior citizens will find the gentle touch and lasting smile they need from Dr. Hoang and his staff at Incredible Dentistry. Call us now, schedule online, or even stop by our dentist office when in the Las Colinas Irving TX area. We look forward to meeting you!